Pickle Toes Patterns is sponsoring a Back to School Blog Tour this month. I got to start off my kids school clothes by sewing up the Dill Pickles Tee for my two oldest kids. You guys get one of my most thorough pattern reviews ever, a chance to enter a giveaway sponsored by Pickle Toe Patterns, and a special coupon at the end of the post! This is my first time being able to participate in a giveaway and offer a coupon code! Disclaimer-Pickle Toes Patterns gave me a copy of the Dill Pickles Tee for free to review as part of this blog tour. But I pinky swear promise I am sharing with you my true and honest opinion of the pattern. It’ll probably be wordy so I’ve made a bullet point list at the bottom of the post too. Back to School clothes means cold weather clothes to me. I don’t do a special first day of school outfit for my kids and I don’t do new shorts or short sleeve shirts. My kids get new long sleeve shirts and long pants. Actually, I’m just happy when one of their shirts from the spring/summer still looks decent-especially now that Nut#3 goes to school. He gets Nut#1’s hand me downs, so its a miracle when if it looks nice when he get it. Anyways, I sewed up 3 long sleeve versions of the Dill Pickle Tee-2 for Nut#2 and 1 for Nut #1. I printed out all the sizes, like I usually do and really tried to walk the pattern to make sure it was trued and graded evenly, or at least logically. Here’s what I found. I’m not a professional by any means and I’m aware that I am being pretty nit-picky. Sometimes that’s a fault of mine. Many of my comments are about pretty slight things. Feel free to ignore any of my nit pickings if you don’t care or you know better and it doesn’t matter! First off, the front and back pieces are the same with different curves for the necklines. They are on top of each other and you either need to trace out a front and a back pattern piece, print out the pattern piece twice and cut the different necklines, or cut out the back first and then trim the pattern piece down to the front neckline and cut out the front. The Dill Pickles Tee slim fit is exactly the same as the regular fit except for about 1/2 inch taken off the center at the fold. Essentially, you take about an inch out of the front and the back right in the middle. I don’t know how to draft patterns so I don’t know if that is correct or not, but I expected more differences in the pattern for the different fits. Shoulder angles are all different. Necklines are not quite trued-although they are pretty close. Some necklines actually appear to dip down and then come back up slightly to meet the center fold. And since the slim fit is created by chopping off some of the pattern at the center fold, the angle becomes more pronounced in the slim fit. In my slim fit above, the neckline looks kinda pointy. Although I didn’t make a hood, the pattern piece doesn’t appear to change to accommodate the smaller neckline for the slim fit. There are no notches or markings for where to overlap the ends of the hood. The instructions say to just overlap a little and that you’ll need to stretch a little to get the hood to fit. I’m not sure how that can be accurate with necklines that differ almost 2 inches between the regular fit and slim fit in the same size. The armcyes don’t look evenly graded, have slightly different shapes, and are not trued at the side seam. The pattern has Trim Pages and fits together really well! I like the Pickle Toes method with triangles you match up to make diamonds and arrows pointing to sides that will meet up with other and need trimming. The ends of the sleeves are angled out for the sleeve hem. The shoulder/armcye point is trued. And although the sleeves are cut on the fold, the sleeve cap is longer than the armcye. It is a very wide sleeve cap which makes for a wide relaxed fit sleeve which is also comfortable. Nut#2 says it is comfortable! Getting a new piece of clothing to be called ‘comfortable’ by this girl right away is definitely a positive. The Dill Pickles Tee has two different fits-regular and slim. The measurement chart for selecting a size only has chest measurements, but gives them for both the regular and slim fits. The finished garment measurement chart has chest measurements, sleeve lengths, and shirt lengths. Based off how long I wanted my daughter’s sleeve and her chest measurements, I first made a slim fit size 6/7 in a fun cotton lycra feather print knit I got from Peek-a-boo Fabric Shop. Nut #2 is now 8 but has always been petit. The shirt ended up just right in the sleeves, but pretty long. The width of the shirt through her chest and belly was just fine, but is too narrow for her shoulders. I have wide shoulders so it’s possible that Nut #2 takes after me and has wider than average shoulders. The sleeves look really wide and have drag lines down her arms and the armcye seems big. But…she says it’s comfortable. My son’s measurements put him in a regular 10/12. I used a soft 100% cotton interlock from Joann for the body and solid charcoal cotton lycra for the sleeves and neckband. I really thought I got the charcoal from Simply by Ti, but I can’t find a link to the specific color anymore. The regular fit looks really good on him in the chest and sleeves. And then comes the neckline. It looks more scoop-like than crew-like and is a bit too feminine for him. Maybe my fabrics are the problem with the neckline, but I used this interlock for a shirt for him last winter and didn’t end up with a scoop neckline…. We’ve decided the shirt will make an excellent pajama shirt and even matches the pants I made him last winter-now what are the chances that pair of pants still fits him? The third shirt I made was for Nut #2. Since the slim fit was too narrow in the shoulders for her, I decided to sew up a 6/7 regular fit and see if the shoulders were better. I made sure to use a cotton lycra, but this mint one is from Girl Charlee. Both fabrics are 95% cotton and 5% spandex/lycra. This mint version is the most successful Dill Pickle Tee out of the three. The shoulders fit her nicely, the sleeves are just the right length, and the width in the chest is still good. It looks comfortable, but not so big she is drowning. I also like the neckline of the regular better than the slim because it is more rounded and less ‘v’ like. I tried not to make adjustments to the patterns for this review, but I ended up chopping 4 inches off the slim fit feather tee and replacing it with a 4 inch ruffle. Just to have something different than a basic tee. The Ruffle is not in the pattern instructions but it was really easy especially because I didn’t hem the ruffle. If it rolls a lot after washing and bugs me I’ll go back and hem it. I used the neckband measurements provided for the slim fit but the neck band measurements for the regular fit seemed really weird to me. I measured the necklines and then made the neckbands 80% of the neckline. They lay flat for me. Dill Pickle Tee is a unisex pattern for a basic tee. It fits my son well except for the neckline, which we both feel looks low, wide, and funny on him. However, I really like the regular neckline for my daughter. Her mint shirt looks really good on her and she says it’s really comfortable. I would slim down the sleeves and shorten the armcye for the slim fit because the sleeves look baggy compared to the rest of the shirt. The Dill Pickles Tee pattern isn’t quite perfect but comes together pretty well. It’s not my favorite shirt pattern for either girls or boys, but it still produces a pretty good shirt despite my nit-picking. I really like the regular fit shirt and neckline on my daughter so I may make more, especially if she still likes how it feels after its been worn and washed a few times. She’s my picky one…. However, I would definitely need to modify the neckline to make any more shirts for my boys. I am not likely to make a slim fit tee from the pattern again unless I decide to mess with the armcye and sleeve cap to slim down the sleeve. Okay, now that I’ve finished the review, I can do the fun part! 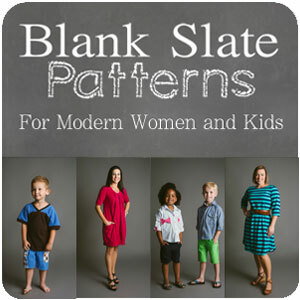 Pickle Toes Patterns has a special coupon code you can use for 25% a minimum purchase of 7.50! How fun! The code is HAZELNUT. There are patterns for boys, girls, men, women, babies, and dolls and bears. AND…you can enter the giveaway to win $10 to their shop too. Use the rafflecopter at the bottom of the post to enter! Alterations/Hacks: I added a ruffle to the bottom of the fitted version. Clear Instructions: Honestly-I didn’t read them while making the shirt. I’ve got my way of making tees so I just did it. But the instructions have pictures. Trimless: No-This is my preference. The pages fit together well. Dislikes or desired changes? For the slim version, the sleeves seem too baggy. For the Relaxed version, the neckline seems more scooped than crew which looks funny on my boy. I would slim the sleeves for the slim version and make the neckline smaller for my boy. Sew again? My picky daughter says its really comfortable and the relaxed version looks really good on her. So probably the relaxed fit for my daughter. But I’d definitely have to adjust the neckline for my boys. Would you recommend it to others? Yes as long as they knew to watch the neckline for boys and to slim down the sleeve for the slim fit.